Matte has a fresh new attitude. Double Wear Light is matte re-imagined. Softly diffused, always selfie-ready. 24-hour, non-stop wear. 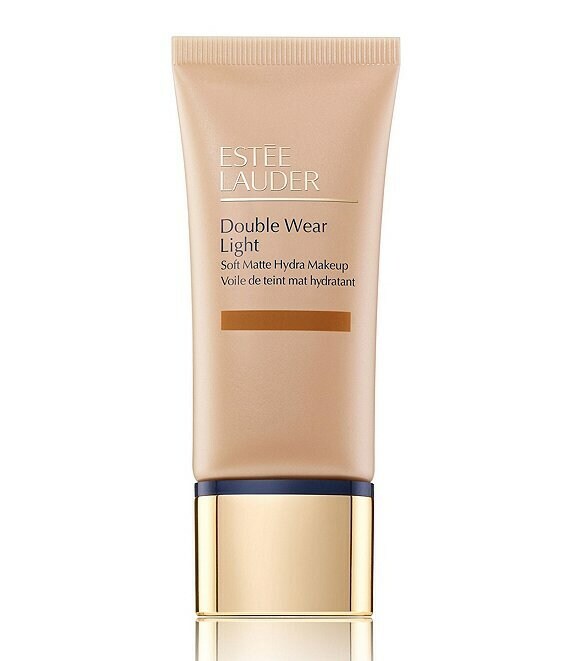 Blurs and reduces the look of pores and imperfections for a photo-ready finish. Lightweight, oil-free, won't clog pores. Non-drying and skin-balancing, it is infused with concentrated Hyaluronic Acid and controls oil to keep skin fresh, comfortable and shine-free. Light-to-medium coverage builds invisibly and looks natural. Stays color true. Available in Cool, Neutral and Warm undertones.